Meet the new generation of local creators who are all about enriching your life. 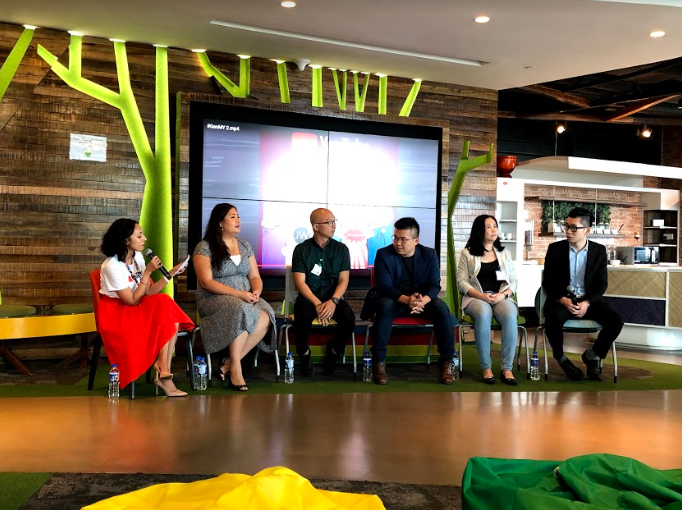 (L-R) Nadia Khan, Ili Sulaiman, Jerry Wong, Sean Tan, Ng Wai Yee, Spark Liang and Zeffri Yusof. It is 2019 and technology has since come a long way. Instead of using self-help books to pick up new skills, people are turning to YouTube instead. With the likes of content creators a.k.a. YouTubers that cover a plethora of skill sets, these channels have made YouTube the current go-to place for everything 'how-to'. You can practically learn anything on YouTube these days and Malaysia is no exception! Let us introduce you to these five Malaysian creators who are enriching the lives of others through this platform. 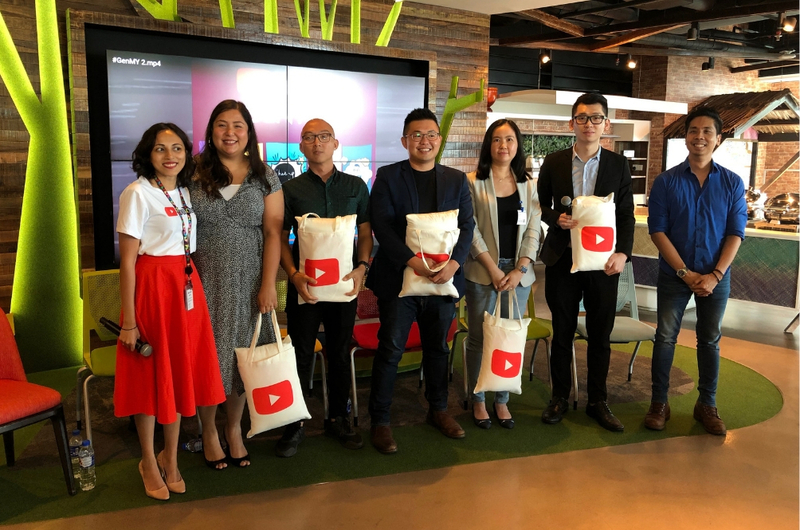 We recently met them at the latest 'Generation YouTube' session, listening to these life skill heroes share their inspiration behind their journey, the challenges they faced along the way and their decision to continue crafting their unique brand of informational content to help others. The entertaining celebrity cook, Ili Sulaiman uses YouTube to show her international audience a glimpse of the best culinary dishes that Malaysia has to offer and celebrate the heart of Malaysian food. On 'Dish by Ili', she connects with her viewers by taking them along on her foodie adventures, sharing kitchen hacks, testing cooking myths and more fun food-related content. "YouTube gives me the opportunity to be connected to my fans who may have watched me on TV, especially those from Europe, America and Asia," Ili said. "I like to share the uniqueness of Malaysian food that makes it interesting for people who are overseas." For Sabahan driving instructor Jerry Wong, his YouTube channel would not have existed if it weren't for one of his students who encouraged him to give it a go. Armed with a small camera and vast knowledge in driving, it took him no time to grow into an avid content creator, sharing useful driving tips and tricks to educate and help Malaysian drivers hone their skills and ace their driving tests. "Back in 2016 whilst teaching one of my students, she suggested that I make a demonstration video on how to inspect a vehicle during a test and post it on YouTube," Jerry shared. "At first, I thought it was a good idea, but I wasn't really sure how to do it. I got myself a small camera, filmed it, uploaded it onto YouTube, and received a lot of positive feedback. So, it took off from there." The YouTube journey of real estate advisor and property guru Sean Tan following an epiphany. When he was consulting his 15th property client, he learned that there were many homeowners who were still struggling to pay rent every month. That was the moment when Sean decided to use his knowledge for good. He began to explore Malaysia's real estate landscape through his channel, where he discusses everything from legalities to design, investment potential to scenic landscape and more. "The gap was not in financial capital, but also in real estate knowledge that has always been exclusive to the privileged," Sean said. "I created my channel to address this gap in knowledge by making property insights freely accessible to everyone, and to transform the way people invest in properties in the future." Better known to her fans as SkyMagenta, Ng Wai Yee's lifelong passion in arts and craft is what fueled her to share her talent on her channel. She focuses on miniature crafts made out of materials that can be easily found at home, covering the steps in crafting an item and the list of materials required. The perfect DIY! Besides tutorials, she also shares tips and tricks when using materials and craft tools in her videos. "YouTube is a great video sharing platform to share my interest to viewers that have the same passion as I do," Wai Yee expressed. "The platform is also a way for me to connect with other enthusiasts from around the world, as most of my audience is based outside of Malaysia." Personal finance guru Spark Liang's channel is basically a library of financial knowledge, including analysis on the bigger finance world as well as investment how-tos. A financial planner by trade, his decision to start a YouTube channel was driven by a need to make such knowledge accessible to people in need of advice at any given time. "At first, I started doing YouTube videos because I found that I keep teaching the same financial concepts to my friends. Then, I thought it would be easier if I were to make them into videos, so I don't have to keep explaining the same thing to them," Spark shared. "It also helped others on financial matters, including how one should divide their salary, how much percentage one should use on each category, and how one should pay back one's PTPTN." Now, life skill creators like them who come from all walks of life are often more relatable than conventional influencers. In fact, Google found that more than 77 per cent of YouTube creator subscribers believe that YouTubers are more authentic and trustworthy compared to other celebrities because they tend to listen and interact with their audience, resulting in a genuine friendship. We can't wait to see more from these talented, up-and-coming local creators that are handpicked based on the mark they are making in Malaysia. You Won't Believe How Beautiful And Clean This Beach In Terengganu Is!